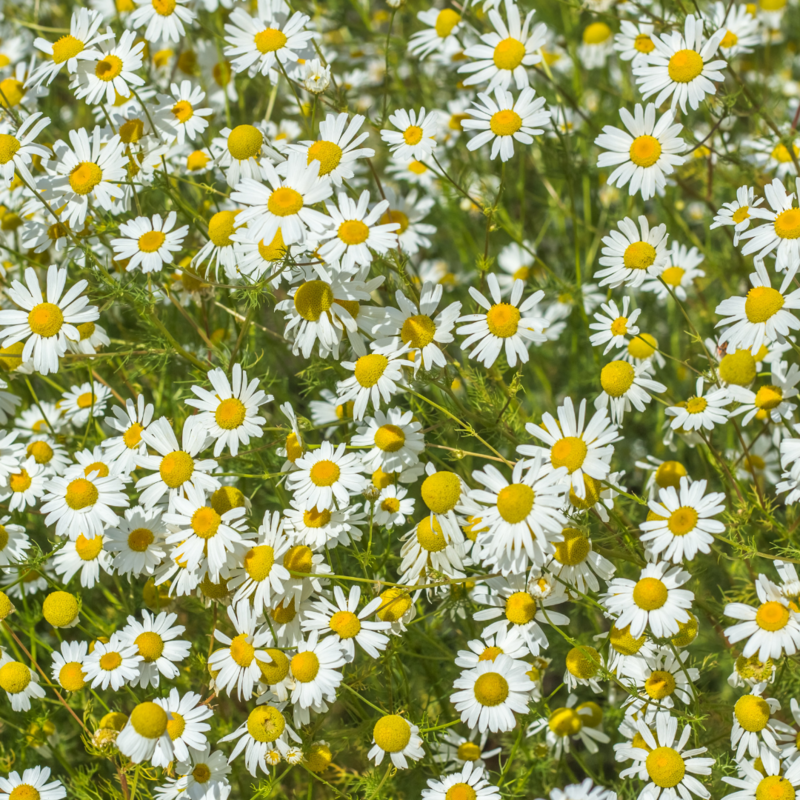 German Chamomile has a strong, sweet, herbal and slightly fruity aroma. When the flowers of this plant are steam distilled, a beautiful blue oil is released which is one of the most powerful healing oils available. 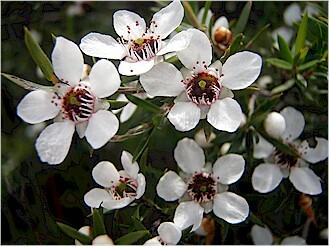 Its anti-inflammatory and cooling actions are highly effective for relieving pain and heat. It is also great for superficial inflammations such as rashes, insect bites and burns. It is very soothing and calms feelings of anger or frustration and is used when dealing with stress related conditions. 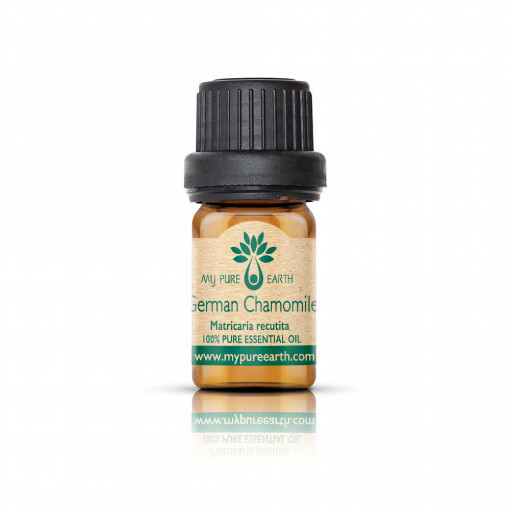 German Chamomile is one of the gentler essential oils and is often used when treating children for injuries and stress relief. This team of farmers own 70 hectares of land which are all farmed using organic growing methods and are never treated with any sort of pesticides or herbicides. This means that they have to roll up their sleeves and use a lot of manual labour to ensure that their plants thrive. Each season from March until November they employ at least 30 people, all local, for their field operations. They have their own small distillery which is very close to their fields to ensure immediate processing of the freshly harvested herbs. In 2010 they invested in a complete pellet production line. This helps to keep their field employees busy during winters, utilising the agricultural and distilling residues (left over from the essential oil production) while at the same time doing their part to contribute to CO2 emission savings. German Chamomile Essential Oil blends well with: Bergamot, clary sage, geranium, grapefruit, jasmine, lavender, lemon, patchouli, rose, tea tree and ylang ylang. German Chamomile is great in a bath after a stressful day as it soothes the nervous system and supports a restful sleep. Combine it with a few drops of lavender essential oil for an extra relaxing soak. Suggested shelf life is 5-6 years.